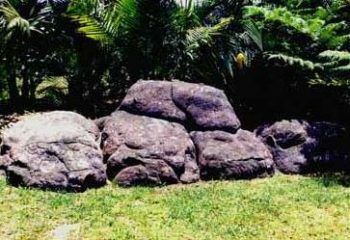 Here you’ll find some fake garden rock images sent in by people from all over. 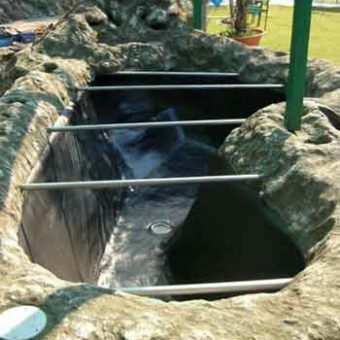 These people have given it a go and made some artificial rocks them selves with great result. 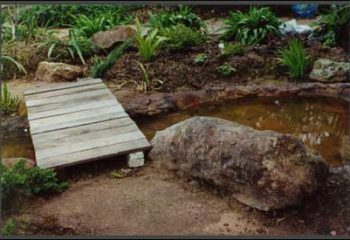 If you want to see more images of fake rocks check out our artificial garden rocks, stairs, water features and more here in our gallery. first of all contributor is Gavin Henshaw of Kempsey NSW Australia. Showing an excellent piece of artificial boulder and retaining construction using the solid rockmaking method. Gavin used broken bricks as his base and filler for the bulk of his fake rock. This image is from Stratford, Victoria. And was sent by a lady whose name we don’t have. But we do know she is a retired school teacher. These are the results of her first attempts of making hollow garden boulders. In addition to synthetic artificial rock edging around a pond after watching our instructional rockmaking dvds. If you are ever wondering whether these artificial rock surfaces will grow natural moss on them. This image from Mrs T. from Brisbane, Australia. 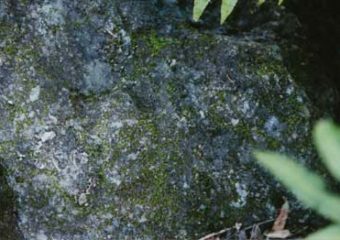 Clearly shows with a bit of shade and moisture, the cement based rocklike surface will probably grow their own moss in time.